We’re often asked to have more club meetings where we compare equipment, music player software and even music file formats. 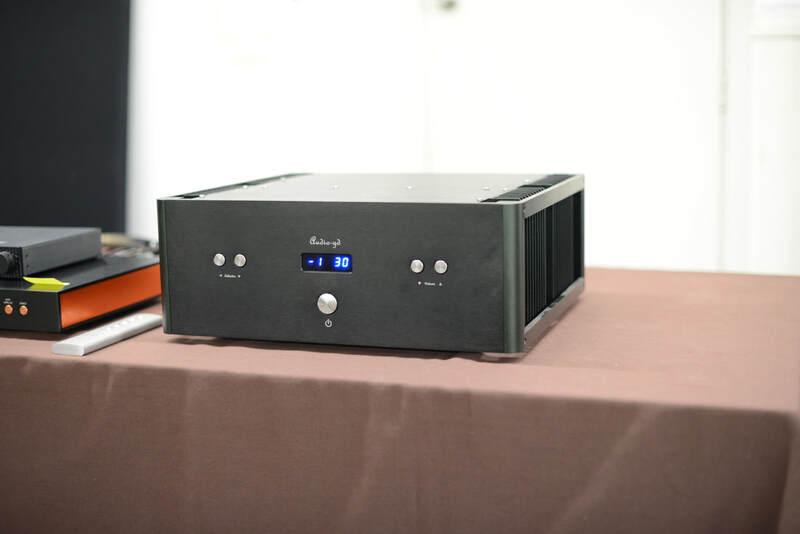 So for our February club meeting, we will be comparing three popular and well-respected DACs. We will have the Mytek Brooklyn, the HoloAudio Spring Kitsune Level 3 and the Benchmark DAC2. The winner of the comparison will be the DAC of choice for our second half BYO session. Mytek Brooklyn DAC – refer to https://mytekdigital.com/hifi/products/brooklyn/. Uses the Sabre 9018 Pro delta-sigma chipset. It converts up to 384k, 32bit PCM, native DSD up to DSD256, DXD with 130dB dynamic range. HoloAudio Spring Kitsune Level 3 DAC – refer to https://www.stereophile.com/content/holoaudio-spring-kitsuné-tuned-edition-level-3-da-processor. The Spring DAC is a R-2R DAC, also known as a ladder DAC. Ladder DACs use cascaded voltage dividers consisting of resistors (valued R and 2R) to passively convert a bitstream to continuous analog voltages. Benchmark DAC2 – refer to https://benchmarkmedia.com/products/benchmark-dac2-hgc-digital-to-analog-audio-converter. Uses four 32-bit ESS Sabre DACs run in balanced configuration. Like the Mytek, these are delta-sigma DAC chipsets. Our transport will be the ubiquitous Oppo 105D universal player. It will feed each DAC via SPDIF. 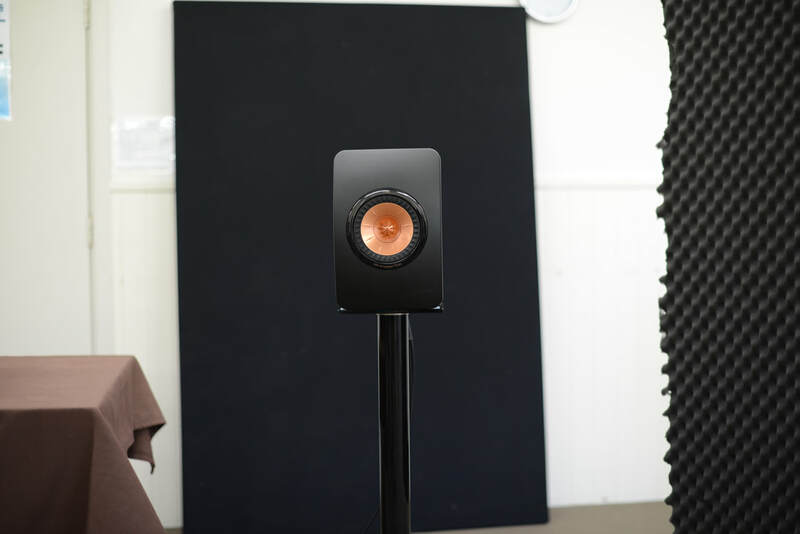 The speakers will be the lovely and musical KEF LS50s. The second half of the music sessions will be our popular BYO. Members and guests are welcome to offer music to share with us all. Please bring along your favourite music on CD or USB thumb/flash drives (sorry, no vinyl this month). All we ask is that the music and recordings be interesting. We'll ask you to tell us a little about the artist/recording before it is played. Tracks over 6 minutes will be faded out, to give everyone a fair go. Guests are welcome – we are a very friendly club so you don't need to know anyone to join us for an afternoon of fine music and sound. Our February meeting was well attended – these comparison meetings definitely attract the interest of people. 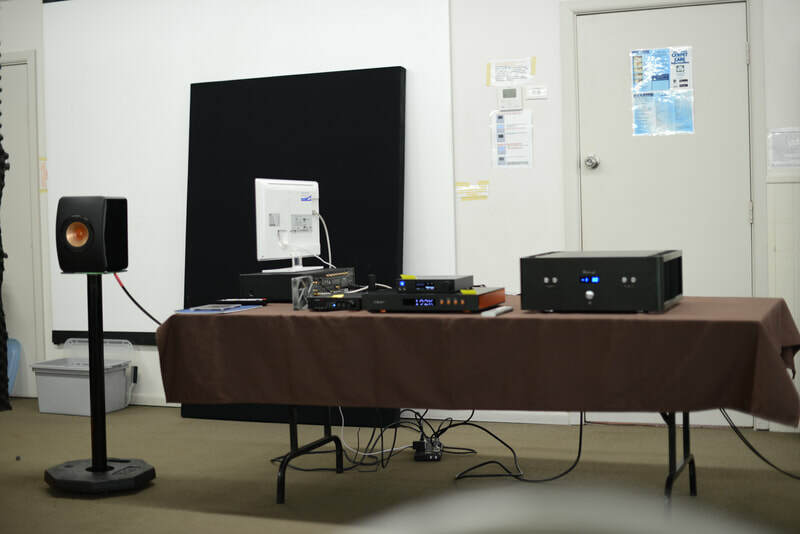 We started our setup a couple of hours in advance – we tested all the gear and did an SPL check to ensure all three DACs output at the same level. We then used the volume on the integrated amp whenever we wished to change the volume. 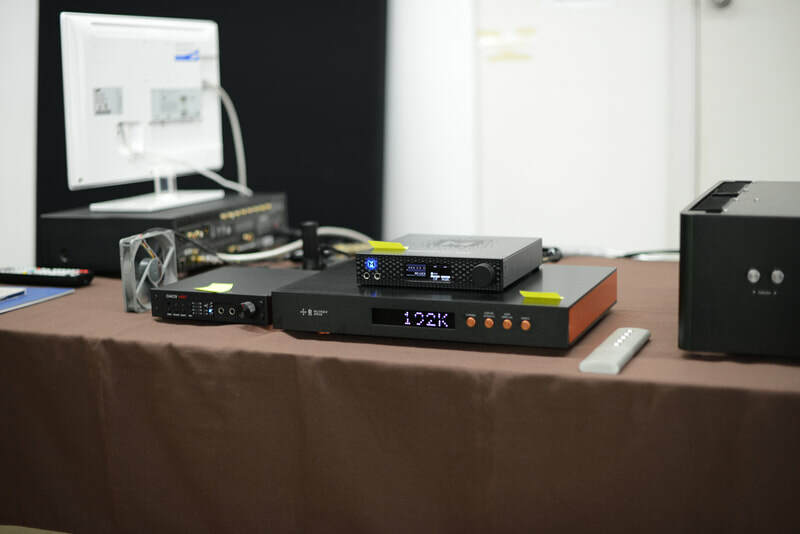 We had a late improvement in the DAC line up … we were able to source a Benchmark DAC3 rather than the DAC2. The other two DACs were as previously stated, the Mytek Brooklyn and the HoloAudio Spring Kitsune Level 3. 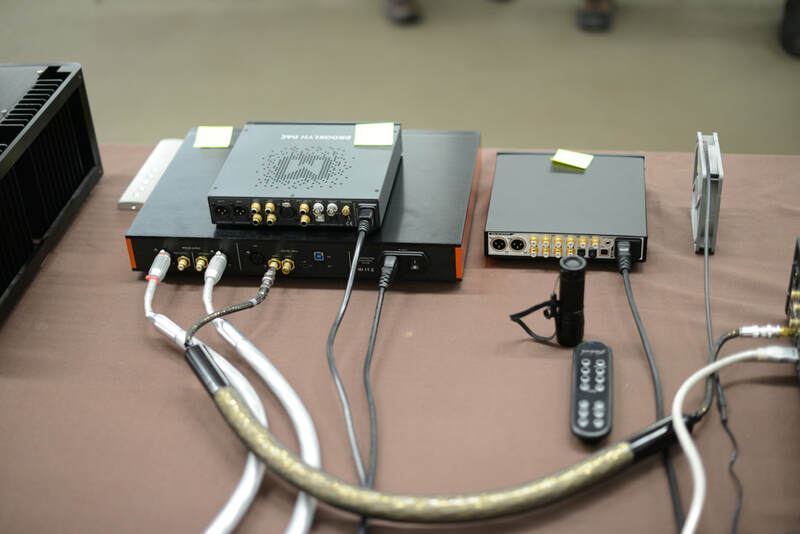 We determined in advance that the HoloAudio DAC setting of oversampling sounded best with the gear and in the room. People say that the first component to be listened to is usually handicapped – that the second one is typically perceived to be better. So we choose the listening sequence at random. The drawn order was the HoloAudio first, then the BenckMark, then the Mytek. We had two rounds. The first round was a comparison of all three DACs (with no volume changes of course). We played 3 tracks from 3 separate albums on each DAC. Upon completion, we voted. The ratings were: HoloAudio 15 votes, Benchmark DAC3 9 votes and the Mytek 4 votes. Unfortunately the Mytek developed a locking issue when playing the 3rd track, this undoubtedly hurt its chances in the voting. With the least number of votes, the Mytek dropped out. We then had our final round with the Benchmark DAC3 and the HoloAudio. We increased the volume on the integrated amp by a few db beforehand. We played one final track on each DAC. It was acoustic rock guitar, very dynamic and well recorded. We choose the order again at random, the Benchmark went first. We then counted the votes: the HoloAudio took 16 votes, the Benchmark took 13 votes. So the HoloAudio Spring Kitsune Level 3 took first place with the Benchmark DAC3 fairly close in second place. People asked about the pricing of the DACs. All DACs were within $400 of each other, the HoloAudio being the most expensive, but there wasn’t a huge price difference. And of course, there were a few people that didn’t like the music chosen for the comparisons, but that was inevitable. All in all, it appeared that people quite enjoyed the afternoon. Our feedback forms indicated a strong interest in even more comparison type meetings. We’ll see what we can do.